We are all familiar with number crunching, data mining and the use of supercomputers today. How did people handle large calculations before the advent of modern computers? They simply employed people who could compute or calculate. Such persons were called ‘human computers.’ Prasanta Chandra Mahalanobis was among the earliest Indians to have employed ‘human computers’ in his pursuit of statistical studies in the early 20th century. Mahalanobis is well known for being the founder of the discipline of statistics in India, economic planning and for organization of science but his pioneering role in nurturing another branch of science—computing—is less known though it was equally far reaching. The physicist-turned-statistician, in fact, played a key role in the advent of design, development and use of modern computing machines in India. His work in computing precedes the efforts of Homi Jehangir Bhabha who also needed modern computers for research relating to atomic reactors. Mahalanobis’ contributions led to development of capacity and skills in computing necessary for statistical research and applications. From using human computers in 1920s, Mahalanobis graduated to mechanical calculating devices. Much before he founded the Indian Statistical Institute (ISI) in Kolkata in 1931, he had installed a mechanical tabulator at his own expense at his home to help him in statistical calculations. Mahalanobis was the first Indian to have recognized the importance of using tabulating machines for scientific work. Once ISI was established, he introduced the use of mechanical desk calculators. Having realized the importance of mechanical calculating and tabulating devices, including unit record machines, Mahalanobis wanted to start local assembly and manufacturing of such equipment because it was difficult to import. This led to establishment of the Indian Calculating Machine and Scientific Instrument Research Society by Mahalanobis in September 1943. ISI by now had a full-fledged workshop for repair and maintenance of calculators. In 1950, Mahalanobis consolidated computing related activities under the umbrella of an Electronic Computer Laboratory at ISI, with the objective of taking the next logical step – development of an electronic computer. He engaged Samarendra Kumar Mitra and Soumyendra Mohan Bose to design and fabricate an analogue computer which could solve linear equations required for regression analysis. Importing components was still a difficult task, so Mitra and Bose had to look for used and discarded parts from junkyards in the city. 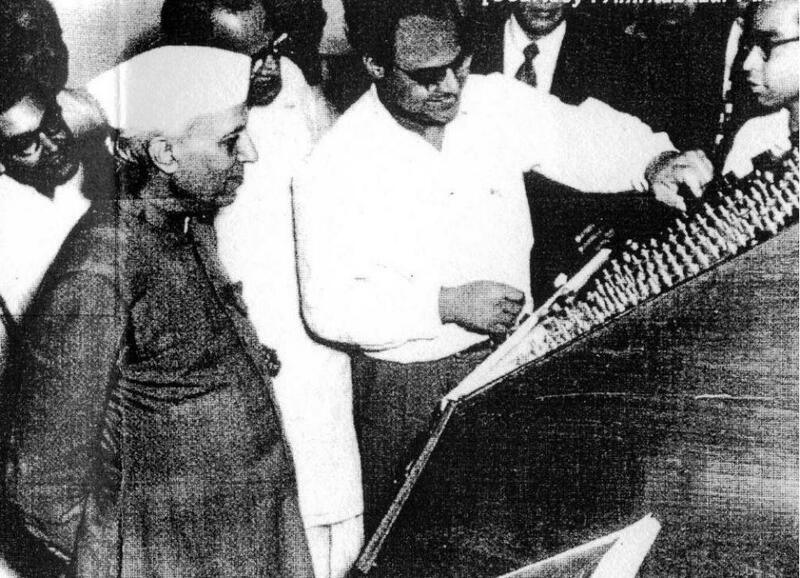 The result of this effort was India’s first ‘analogue electronic computer’ in 1953. The invention was announced in scientific journals and Prime Minister Jawaharlal Nehru visited ISI to see the achievement in December 1953. While building indigenous capacity in computing, Mahalanobis stayed in touch with contemporary technologies and scientists working in this field globally. 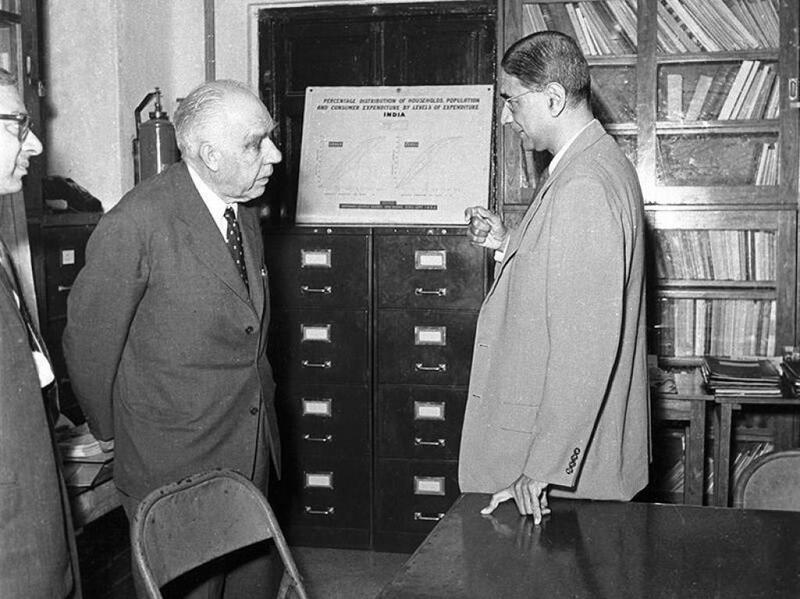 He visited the Harvard Mathematical Laboratory met John von Neumann and Howard H Aiken who were working on electronic computers. He was in touch with John Desmond Bernal, a professor of physics and crystallography at Birkbeck College, then working with Donald Booth, another pioneer in electronic computing. Such friendship with leading scientists resulted in ISI acquiring some of the newest computers, such as the Hollerith Electronic Computer (HEC-2M) designed by Booth for British Tabulating Company. Just a handful of such machines were sold globally, and the one at ISI was Asia’s first in 1955. In 1958, Mahalanobis used his connections with the Soviet Science Academy to get another large computer – Ural – funded under the United Nations Trade Assistance Programme. A high point of ISI’s contributions to computing was development of a second generation, transistor-based computer. jointly by ISI and Jadavapur University. It was named ISIJU-1 and was built with inputs from N C Metropolis, who had worked with John von Neumann in electronic computers research for the U.S. Defense Department. Metropolis suggested incorporating ‘significant digit arithmetic’ (SDA) in the hardware design of the computer. The machine was commissioned in 1966 at Jadavpur University. Mahalanobis wanted to take the computer development activities at ISI to its logical next stage – large scale commercial manufacturing. For this, he had set up a company called Sankhya Yantra Private Limited in the ISI campus. But the First ISI Review Committee – chaired by Humayun Kabir – shot down the idea in 1966 saying it did not form a legitimate activity of the institute. The committee felt that large scale manufacturing activity would retard the work of the institute in its core areas. The unit was closed down and its assets transferred to the Garden Reach Workshop.